Panorama of the new (unlit) room. Left to right: SMART KAPP board, Epson multi-touch projector, PC (in box), Apple TV, ChromeCast, Twin monitors in booths, Samsung 360° Camera in ceiling, SMART 4k Panel, Samsung smart TV, Wacom Cintiq + PC. Not shown custom PC for HTC Vive VR st up. I was asked to design a third space at our school with digital collaborative learning in mind. The vision, based on the successes of our 1:1 scheme, was to be able to allow a fully flexible approach to collaborative learning whereby the displays are mobile, interactive and the software allows us to utilise an unlimited canvas. It should also allow students and staff to type, draw and insert a multitude of media to be published to a channel in some way. The infinite canvas idea is the major incentive. I liked the idea of children being able to view other children’s and other group’s work as it happens in real-time much like walking over to another table in the classroom and seeing other groups at work. The obstacle here is also how they would interact given a trajectory the students are currently on. Questions I had to ask were: What is the evolution here? Where are the students starting and ending on this journey? Where are they heading with collaboration in mind? And, which tools, physically and digitally are the students and teachers going to be using in there? The evolution is such that five years ago the students and teachers embarked on a 1:1 iPad scheme and while the uptick was slow the camera, video editing and airdrop is the main physical tech at work here. The connectivity and the ability to share was the main draw - next would be the conversion of file types to other applications and to which platform these file types land. The next step here is the student’s interaction on the school’s current VLE. The VLE itself has evolved so that it’s mobile friendly enough to allow editing on mobile for students however this is heavily dependent on the teacher leading the class as to whether students comment or not. While this is going on, the school back-end services such as Google Drive/ Docs are progressing to a point that they are no longer solely web-based to allow full, whole class, collaborative solutions and are app-based to a point that 12+ students can easily interact in a single document. Previously we need a work around to force the browser into desktop mode - not ideal for 4+ concurrent users. The snag here is four fold though: it’s too linear at times, media can be added but not easily edited (need several other apps to edit thoroughly), media is limited whereby a dual camera screencast would be a fantastic addition for example and, how do we re-share and publish as a universal filetype? What I want is one of those windows tables but in a mobile solution that connects to each device with infinite editable space behind it. Where editing is both typed, spoken, videoed and hand drawn with a stylus. It must also have the ability to be published and broadcasted. The Origins of Class-Wide Digital Canvases. Some time ago I read this article from Durham university via their parent support: SynergyNet. 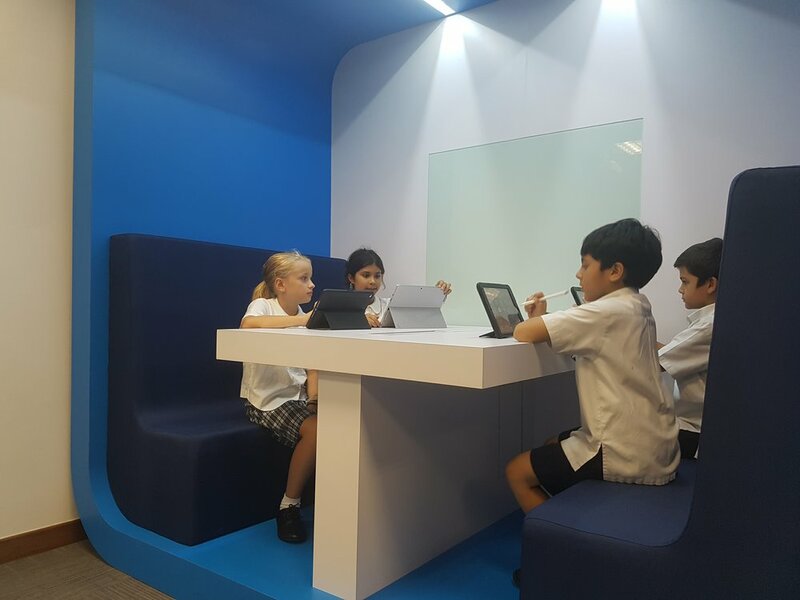 The premise and the workings of the classroom are integrated so that the children and the teacher can utilise a giant virtual canvas that all participants can access, edit and share via a multitude of means. The drawback, there is always one, is that this seemed to utilise bespoke (albeit open source and now defunkt) applications and work flows due to the student workstations. The version both professors ended with wasn’t as feature rich as I’d hope, or, as one would expect now to involve a multitude of media options: video, video clipping, annotating over video etc and splicing this into a re-editable platform for broadcasting/ sharing. Durham University via the www.thestar.com - note the heavy duty PCs running the Kinect syle interaction. Plus the cameras in the room. However, before I hear the cries of ‘OneNote’ or ‘OneNote Classroom’ can do this from all you Microsoft diehards with a brand new badge in your email signature - have you used OneDrive? It’s Sharepoint on acid (joking). Since 2005 I've always seen the benfits of Google Apps for Education and we're so deep int that ecosystem we look for integration there first before anything else because it’s simple to use. It also syncs instantly: The cornerstone of true digital, real-time collaboration. I see the benefits of OneNote but it's just not suitable here. Google Docs, though, has limitations too for what we’re trying to achieve… Please bear in mind that OneNote and Docs are single planes of editing space regardless of the ‘Education’ versions of these or other applications. Each option here only allows one type of interaction in each side: OneNote drawing etc but real-time sync is awful and Docs gives you proper real-time sync but the drawing is awful. There are other services such as BaiBoard that let you use an infinite canvas however the sync issue, again, is raised (I think this is a patent issue from the original Writely) [www.writely.com]. Hopes are pinned on Google’s Jamboard and it’s ilk. In other words, we’re trying them all - but Baiboard is coming up trumps. 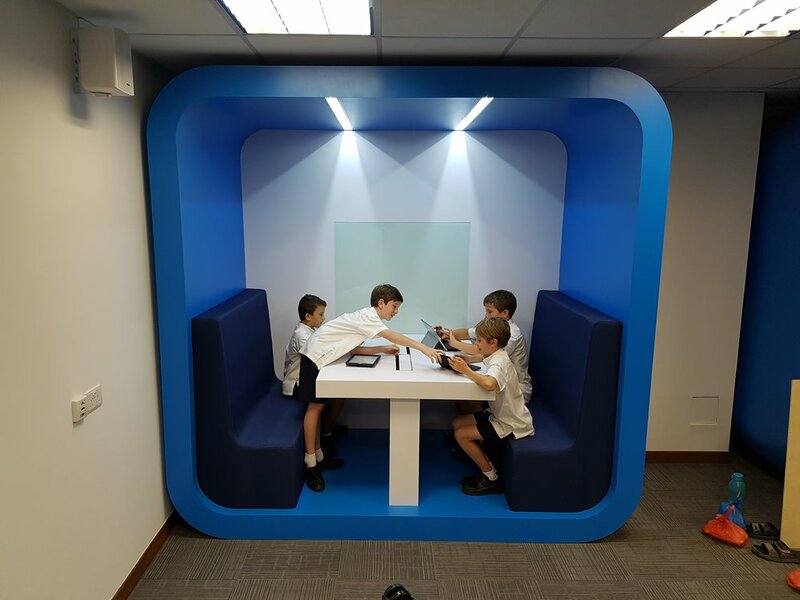 The added vision for this room is such that all sections of the room (4 booths) are separated physically and maintain a link digitally via the devices the the people in the room use plus the screen technology available. In a way, this should introduce the idea that these mini-spaces could literally be anywhere in the world. The equipment is such, that the four booths each contain a display and a broadcast option (in this case bespoke cabling plus Apple TV/ ChromeCast). The display and broadcasting tech is the clincher here. After reading and learning of the pitfalls of the trials at schools in Durham, the link-up from the main display to student devices was simple enough, the grouping of the streams was the tricky part. In response to this the latency of the interaction (the time it took for changes on the student display) to appear on the other screens was also of paramount importance because when broadcasting fully to all users, each device is managing a awful lot of bandwidth. Which, incidentally, as screen tech continues unabated, 4K (and soon to be 8K) is the norm now - 26 devices streaming HD-4K interactive video is a huge undertaking that requires high-end switchgear. Which device do you go with for student use? 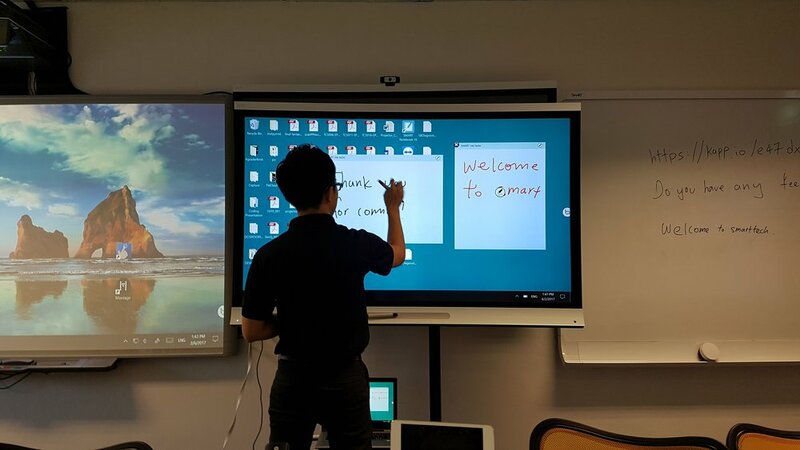 The SMART board is an Android powered interactive 4K panel. This is sufficient as a leading device, while not future tech as such, it’s ahead of the IWB game in as much as the standard IWB is semi-dumb tech. What I mean here, is that an regular IWB on it’s own cannot auto detect other devices on a network due to no actual CPU installed like there is on the SMART. It important to note here that SMART lead the way in this realm in that they supply software (SMART KAPP ) to allow users to cast via Bluetooth and WiFi across all devices. However, as we have found out, this is limited to black and white and the sync is more sketchy than that of Office 365/ OneDrive. While this is, in the short term and on a low level as decent solution for 3-5 users; a class worth of users is fraught with difficulties - no matter how much I’m deeply impressed with the idea behind it. Staedtler Digital Norris S Pen - the nib is horrendous for junior school use. Ah, Chromebooks - so close yet so far. The opening up of The Play Store to Chromebooks was so compelling as a for this project that I thought it would herald the flexibility of being able to use apps such as YouTube gaming to bring an extra dimension to the level of learning capable here. This screen capture tool that can broadcast any app’s screen to YouTube/ Video file as display tech together with Chromebook stalwarts such as Explain Everything, and we’d have the beginning of a solid workflow of peer-led learning channels. Sadly, this is an annoying cul-de-sac. Our next dream was the laptop/ tablet combo that would sync with ChromeCast easily and utilise both ends of mobile and desktop compatibility. This dream machine would have been the Samsung Pro. Why? This device had so much promise, however in Singapore, Samsung ceased distributing Chromebooks in 2014. In fact, nearly all Chromebooks of a high-end nature don’t really exist in Singapore - or at least they’re not supported. So, we can get them very easily although their regional offices don’t have a branch for them unless you’re Asus or Acer. The Asus 302 was a second place contender as too the rugged version of the Asus 213 with Wacom stylus. They're just too cheaply built to be even considered for such a project. Again, there are drawbacks on all of these devices as we found the coveted Samsung stylus (S Pen) that is now manufactured as a Steadtler Norris pencil (that we had hung our hopes on being a huge differentiator for young students) is so unworthy for classroom use due to the nib being of such poor quality that 99c felt tipped pens have tougher materials. And they’ve be battered by toddlers for years. I love the modern version of the ChromeBook and think in a few years would be perfect for this project- the build quality of these and the price point for schools is excellent. However, there are many things that are off with them. The first point is - you need the Play Store and you need to transfer ideas from the Chromebook desktop to mobile apps and back. As a stand alone desktop they are limited to the browser and Chrome Apps (Yes, I know and I’m fully aware that the browser can fulfil many a task) but when I want students to use Adobe Whatever or Explain Everything the blessed things struggled to copy over text (maybe this is individual and maybe this is fixed). I’m not asking much here (I don't think) - this should be easily doable in 2017. This is the standard I and my students have come to expect as users of modern tech. Things work for the majority of the time. Sharing from app to app (the nauseating term on Twitter is ‘app smashing’) and completing a project via the behaviours of multiple apps is the norm. This is why Chromebooks just could not be the main device for this project. Not yet at least. No matter my admiration for the flipable, writable and promise the Samsung Pro Chomebook holds. I got my eye on you. What do we do? Well, as luck would have it, we’re an Apple School predominately and we are having a new shipment of iPads. Why not splice this order with the new 10.5” pro with Apple Pencils and see if this can be the main device here. This would give us the sketchable canvas we desire and our ‘problem’ now is to find a suitable software solution that doesn't cost the earth. Whatever that might be as of writing. In any case, the Apple Pencil is a very durable, reliable and the built to take on an industrial space. A point to note too. The Microsoft Surface. I know some of you reading this will be screaming “Surface!” Well, what about the Microsoft Surface? In our school the senior sectionhave gone to Surfaces (albeit HP thingamajigs). And good luck to them. I give those poorly built devices about a year eighteen months of everyday use by students until they install something they shouldn't and the styluses become an also-ran. - I have such poor history with Windows devices due to there unreliablity. I’ve personally owned three Surfaces over a 2 month period. All failed in various ways and I got a full refund from Microsoft. Thank you Microsoft. As for the stylus. Yep. All good. No complaints from me. 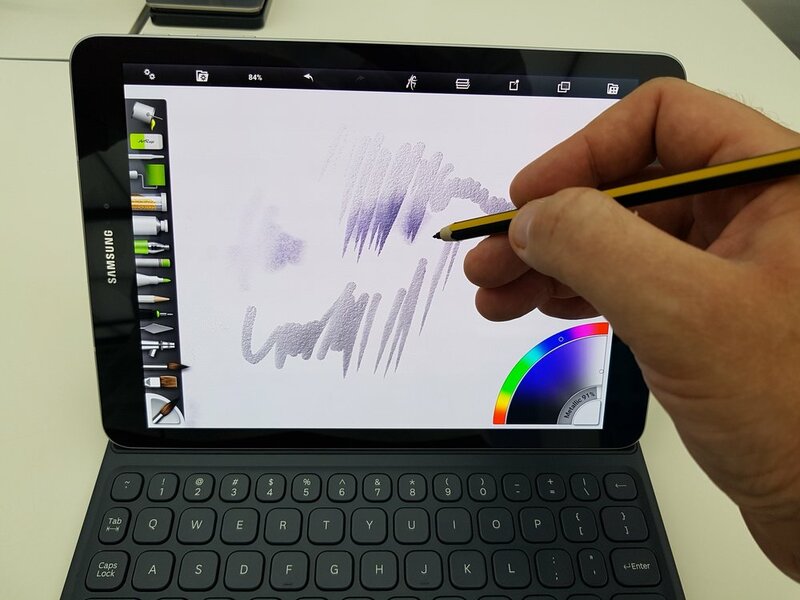 The styulus has many functions that tie into the device - it's lovely to write with but not draw. The device beyond about five applications is scant for as a mobile, touch-first device and is unsuitable for this project due to the connectivity: sharing a 2Gb Video file from one to the other needs USB drives and miriad netowrk solutions. It’s a laptop that doesn’t suit our needs due to it being restrictive and we can't pigeonhole ourselves with an ‘everything we do must be in OneNote’ mantra. 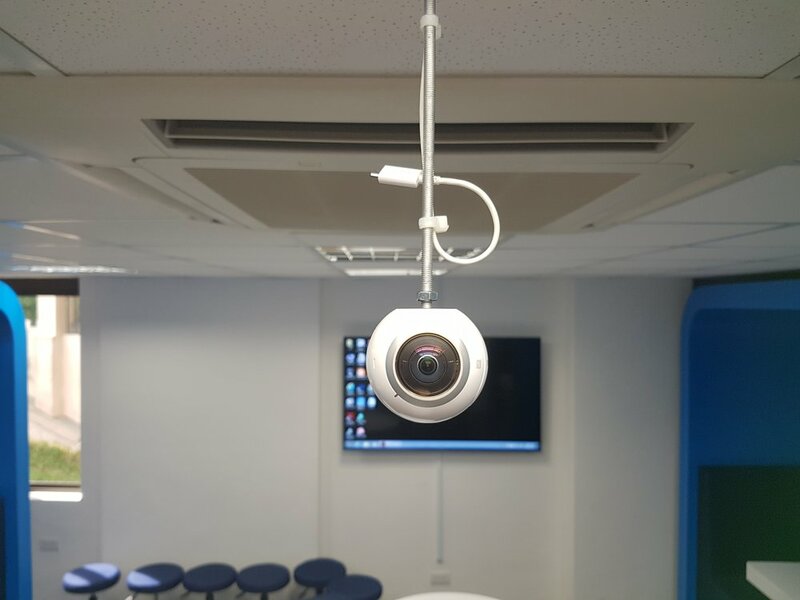 We need to cater for over eleven subject areas in this room many of which require a quality camera, accessible video editing, AirDrop and AirPlay. The snag here with our project is the term ‘Future’. If we’re resorting to what we already have how ‘future’ are we thinking? 1 year? 2 years? 5? having a device that students and adults can relate to is a good idea. However, thinking beyond this is important too. Moreover, the ‘Learning’ aspect is a joint proposition from school leaders. Personally, I want channels of learning for peer support that is community led. This is what we don’t have at the moment and requires a beacon such as this room to highlight this importance. Hence the cameras, broadcasting and audio options needed from the solutions we’re looking at. As in the image above is a slew of tech that should allow us to broadcast both locally to a group and to the class either from display 1, 2 to Booth A-D or individually A,B,C or D or any combination of these. Alternatively each booth can display to any other booth depending on the job at hand. Audio should split too via HDMI and Bluetooth depending on the task at hand and the need for subdued audio that isn’t a tinny tablet speaker (because not all audio is optimised for all 4 iPad pro speakers. Looking at you Skype!). 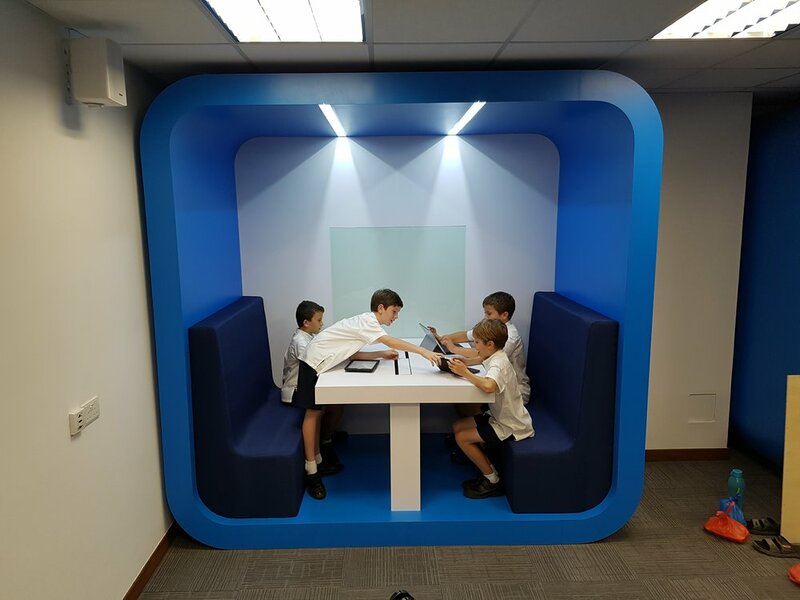 The idea for the physical space is that any layperson can go in there and work out how to share screens, digital workspaces and organise a class to work collaboratively and digitally. 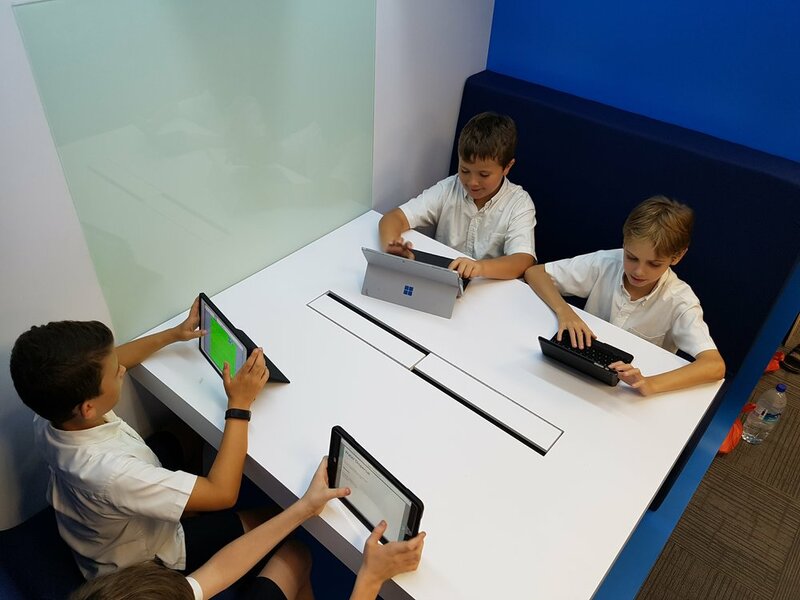 Each booth is equipped with, currently, two 32” screens that ideally should be a little larger at 42” to allow the students to move the objects on a larger surface. Or, where convenience is concerned, a single, embedded touch panel in the wall of the booth could be employed. This is down to cost though and at around S$50,000-S$70,000 we might edging in to plan B shortly. Above, there are many solutions that, if money was no object, we’d have them in no time. However money is an obstacle. The SynergyNet project was a £1.5million project. We have a fraction of that to spend. However, when our Head of IT and I go to together we projected S$100,000 just for IT equipment alone. So we’re at around 5% of the funds already and we haven’t really scratched the surface with the possibilities. Autonomous Set up by students and staff. Lead person switching from teacher to student/ student (group) to teacher and student to student. Interaction happens both as digital, analogue (drawing on tables), back into digital and shared. The canvases are shared, embedded, commented on and published as whole ‘pieces’ where a whole piece is the external 360° video clipped with links to the canvas as a PDF/ image or scalable graphic on the blogs. A community-led / student-led project autonomously uses at least 75% of these techniques to produce an end product. A virtual space (VR) is planned to be used collaboratively in the room to manufacture a product whereby the design process will be developing using a sketch/ CAD tool to design and 3D print the virtual models.